Our list of Hospitals is comprised of the top Pituitary and hormonal health hospitals in the world. To find a Hospital enter a keyword(s) in the search field above or click the Search Icon to use an advanced search form. The Barrow Pituitary Center evaluates and treats patients who are suffering from neuroendocrine disorders and pituitary tumors such as adenomas, prolactinomas, craniopharyngiomas, Cushing's disease, acromegaly, and gigantism. Patients are treated through a multidisciplinary approach that draws on the expertise of specialists in many disciplines, including endocrinologists, neurologists, neurosurgeons, and radiation oncologists, among others. The BWH Pituitary Program was founded by Dr. Harvey Cushing, the pioneer neurosurgeon who performed more brain tumor and pituitary operations than anyone in the world during his 20 years as Surgeon-in-Chief. This tradition of outstanding care for patients with pituitary and neuroendocrine disease continues today. The California Center for Pituitary Disorders at The University of California, San Francisco (UCSF) is a multi-disciplinary center designed to provide comprehensive care to all patients with newly diagnosed and pre-existing pituitary disorders. Our program is built upon a strong foundation of decades of recognized excellence in neurosurgical and neuroendocrine care and research at UCSF. At Cedars-Sinai Medical Center, pituitary disorders are treated with a comprehensive, multidisciplinary approach that integrates medical, surgical, imaging, pathology and research expertise in one center. As a result, patients at the Cedars-Sinai Pituitary Center receive highly individualized treatment. The Center for Pituitary and Neuroendocrine Disorders at Lenox Hill Hospital/Manhattan Eye Ear and Throat Hospital provides comprehensive interdisciplinary care for the diagnosis, evaluation, and treatment of tumors and disorders of the pituitary and anterior skull base. Led by Directors Dr. John Boockvar, neurosurgeon and Dr. Peter Constantino, otolaryngologist, we provide minimally invasive state-of-the-art care through a collaborative network of neuroendocrinologists, neurosurgeons, ototlaryngologists, ophthalmologists, neurologists, neuroradiologists, radiation oncologists, neurooncologists, nurse pratitioners, clinical trial specialists and social workers. The multidisciplinary Cleveland Clinic Neurological Institute combines all physicians and other healthcare providers in neurology, neurosurgery, neuroradiology, the behavioral sciences and nursing who treat adult and pediatric patients with neurological disorders. Cleveland Clinic Neurological Institute offers a disease-specific, patient-focused approach to care. Our unique, fully integrated model is beneficial to our current standard of care, allows us to measure quality and outcomes on a continual basis, and enhances our ability to conduct research to benefit patients in the future. Emory has long enjoyed an international reputation for excellence in pituitary surgery and endocrinology. The Pituitary Neuroendocrine Center of Emory University offers a multidisciplinary clinical service with a team of specialists world-renowned for their expertise. The center provides state-of-the-art diagnostic services in all aspects of endocrinology, neuroradiology, neurophthalmology and comprehensive therapy for pituitary and hypothalamic disorders, with specialization in neurosurgery and radiation and medical therapy. At the Florida Hospital Neuroscience Institute, we understand that patients suffering from brain disease and injury are faced with many options regarding treatment. That's why our multidisciplinary team works together to create an individualized plan of care for every patient that provides maximum benefit through the utilization of the most technologically advanced facilities and equipment. As Orange County's leading Neurosciences Institute, Hoag offers a unique multi-modality diagnostic and treatment program for patients suffering from benign and malignant brain, pituitary and skull base tumors. Houston Methodist Peak Brain & Pituitary Tumor Center provides personalized neurosurgical and oncological treatments for patients with a spinal tumor, pituitary tumor, and brain tumor including glioblastoma, astrocytoma, meningioma, and brain metastasis. Our approach to healing capitalizes on recent advances in medical science and uses new technologies to optimize treatment for each patient. Treatments include tumor vaccines, gene therapy, targeted antibodies, and personalized medicine looking at the DNA and genetic makeup of each tumor. Our brain tumor research includes the use of nanosyringes and targeting of mitochondria and cellular drug pumps. To learn more about the Peak Center, visit houstonmethodist.org/peakcenter. 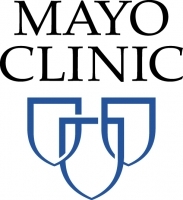 Mayo Clinic is one of the largest pituitary centers in the United States. Our world-renowned specialists work together to deliver exactly the care you need. The Pituitary Unit at OHSU is designed to provide outstanding clinical service in the initial diagnosis and subsequent management of patients with pituitary disorders. The unit brings together decades of accumulated expertise in the clinical, teaching and research realms as they relate to the care of neuroendocrine/pituitary surgery patients. The OSUCCC - James is the only cancer program in the country that features a National Cancer Institute (NCI)-designated comprehensive cancer center aligned with a nationally ranked academic medical center and a freestanding cancer hospital on the campus of one of the nation's largest public universities. The Pacific Pituitary Disorders Center at Pacific Neuroscience Institute is located at Providence Saint John’s Health Center in Santa Monica, California. We provide comprehensive individualized care for patients with pituitary and skull base tumors including pituitary adenomas (acromegaly, Cushing’s disease, prolactinomas, endocrine-inactive adenomas, recurrent adenomas), craniopharyngiomas, Rathke’s cleft cysts, chordomas, meningiomas as well as pituitary hormonal failure and cerebrospinal fluid leaks. Our team of experts has a long clinical and academic track record in the multidisciplinary treatment of these disorders including endonasal endoscopic surgery, endocrine (hormonal) therapies, stereotactic radiosurgery and radiotherapy. Providence Saint John's Health Center has state-of-the-art operative suites, imaging and comfortable patient rooms in a warm and friendly atmosphere. The Saint Luke’s Brain & Spine Tumor Program is committed to delivering the most advanced, compassionate, and personalized care from diagnosis and treatment to discharge. Our unique program is supported by Saint Luke’s Cancer Institute and Saint Luke’s Marion Bloch Neuroscience Institute.